Ročno izdelana kovinska krilca. Možnost graviranja logotipa po izbiri. 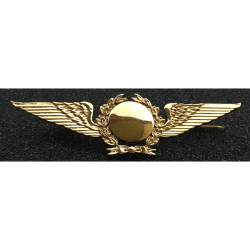 Aviator lapel pin crafted in metal with white enamel and black FLY inscription. 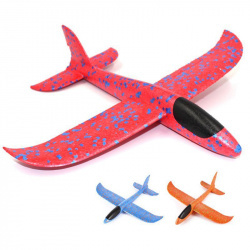 Suitable for any pilots. 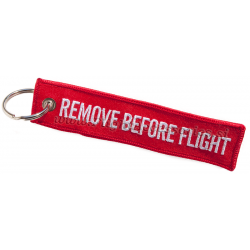 Remove before flight tag (RBF). lever enlargement for higher comfort. 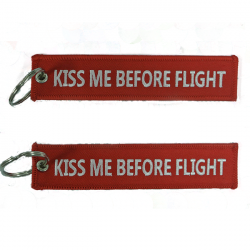 Kiss me before flight tag. 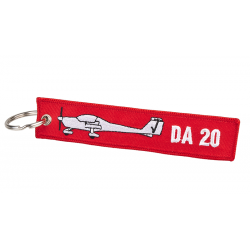 Keyring with REMOVE BEFORE FLIGHT inscription on the one and DA 20 logo on the other side. 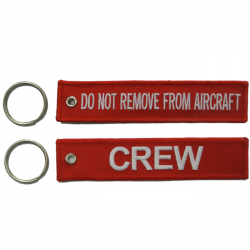 Keyrings, zipper extension for pilot bags and more! 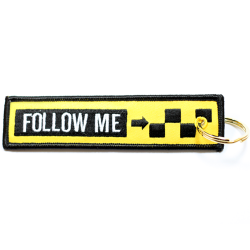 You can not miss a thing with this nice and affordable gifts! 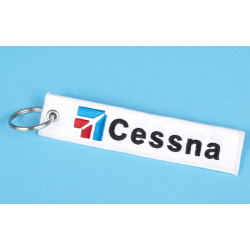 White keyring with CESSNA inscription and logo on the both sides. 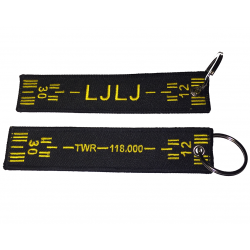 Keyring, zipper extension for pilot bags and more! 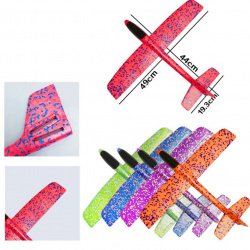 You can not miss a thing with this nice and affordable gifts! Black RUNWAY LJLJ on the both sides. 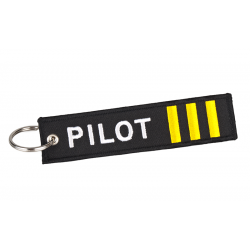 Black Keyring with 3 yellow stripes and PILOT inscription on the both sides. 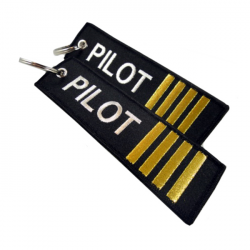 Black Keyring with 4 yellow stripes and PILOT inscription on the both sides. 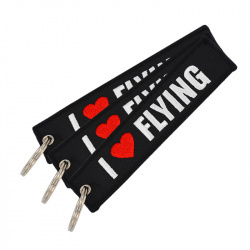 Black keyring with red "I LOVE FLYING" inscription on the both sides. 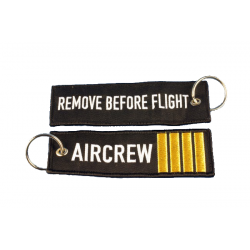 Black Keyring with AIRCREW with 4 stripes on one side and RBF inscription on the other side. 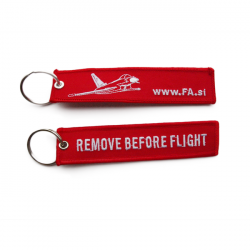 Remove before flight tag (RBF / www.FA.si). Additional items will be charged 1.50€ each. Izredno trpezno sestavljivo penasto jadralno letalo z odličnimi jadralnimi sposobnostmi, ob katerih sta zadovoljstvo in užitek zagotovljena. Izredno trpezno sestavljivo penasto jadralno letalo z odličnimi jadralnimi sposobnostmi, ob katerih sta zadovoljstvo in užitek zagotovljena. Nastavljivo repno krilo. 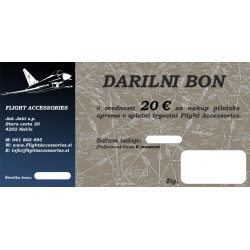 Gift Voucher (value of 20€) applicable for orders in our pilot shop. Great for birthday gifts, anniversary etc. 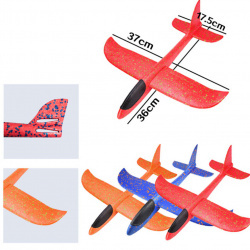 Gift Voucher (value of 50€) applicable for orders in our pilot shop. Great for birthday gifts, anniversary etc.